HomeBlogFAQsIs Your Dog Allergic to Grass? Dogs are stoic creatures and will often try to hide their discomfort or pain. This means it can be difficult to figure out if your dog is experiencing an allergy. Keep a careful eye on your dog’s behaviour after they’ve been outdoors. Do they scratch excessively or lick a certain patch of their fur? These are tell-tale signs that something isn’t right. You can also inspect your dog’s skin for rashes, bald spots or dry skin. If you do suspect your dog might be allergic to grass, schedule a visit to the vet right away. Grass allergies can vary in severity. Some dogs may experience some light itching or sneezing, while others can be at risk of serious health concerns. 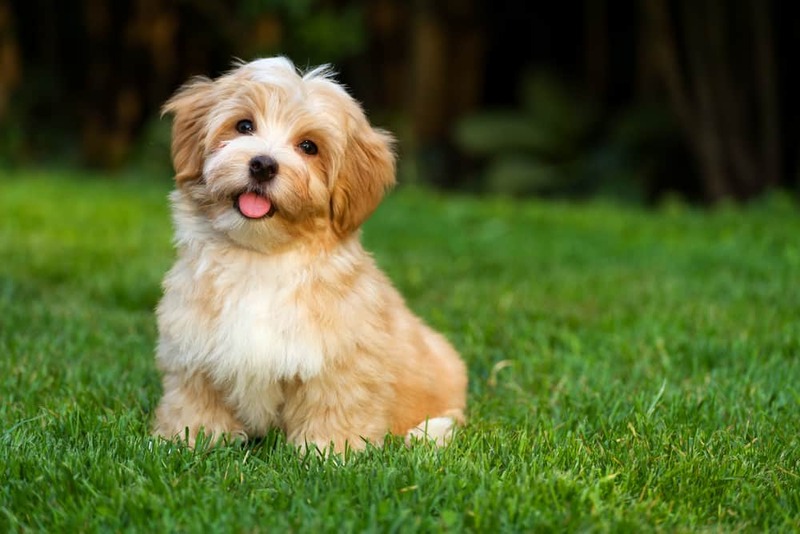 If a grass allergy is left untreated, some dogs will scratch their skin to the point of injury, leaving behind wounds that can easily become infected. Grass allergies can also affect your dog’s stomach, resulting in diarrhoea, nausea or vomiting. While these allergies aren’t usually life-threatening, nobody wants their dog to feel uncomfortable or miserable. It’s important to look after your pup if you suspect they might be allergic to your lawn. If you dog has been diagnosed with a grass allergy, there are many options available. You may want to consider limiting your dog’s exposure to grass. To minimise the risk of an allergic reaction, you can wipe your dog’s fur with a damp cloth when they come inside. Dogs with severe allergies may require more serious treatment options. Your vet can advise you on the different kinds of medication available. You can reduce the risk of allergy in your pets from the very start by choosing the right grass for your needs. There are hundreds of different types of grass out there, so you’re sure to find one that doesn’t hurt your dog. Buffalo turf are a great choice for those looking to minimise the risk of allergies. With their low pollen rates, grasses like Kings Pride Buffalo, Sapphire buffalo or Palmetto buffalo grass are perfect options. By choosing the right grass, you’ll be doing your furry friend a favour! If you’re after advice on how to choose the best turf for your needs, the expert turf contractors at Hi Quality turf are more than happy to help out. Contact us any time for professional and friendly service. Give us a call on 1800887258.